1. Where are you in life right now? The image of the King of Clouds reminds us to take a deep breath, loosen our neckties and take it easy. If mistakes happen, it’s okay. If things get a little out of hand, it’s probably just what the doctor ordered. There is much, much more to life than being ‘on top of things’. Controlled persons are always nervous because deep down turmoil is still hidden. If you are uncontrolled, flowing, alive, then you are not nervous. There is no question of being nervous – whatsoever happens, happens. You have no expectations for the future, you are not performing. Then why should you be nervous? 2. How do you project yourself to the world? What is the truth of your relationships in your life? Now you are presented with an opportunity to see life in all its dimensions, from the depths to the heights. They exist together, and when we come to know from experience that the dark and the difficult are needed as much as the light and easy, then we begin to have a very different perspective on the world. By allowing all of life’s colors to penetrate us, we become more integrated. When you open up to the Ultimate, immediately it pours into you. You are no longer an ordinary human being – you have transcended. Your insight has become the insight of the whole of existence. Now you are no longer separate – you have found your roots. 3. 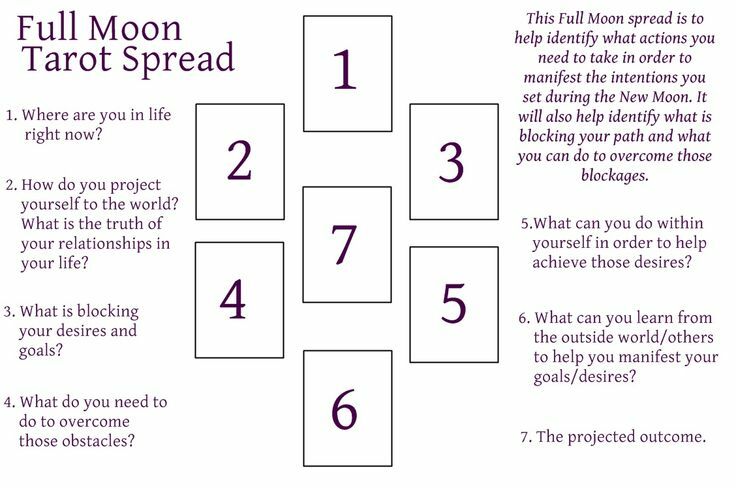 What is blocking your desires and goals? This card indicates that if you trust your intuition right now, your feeling of the ‘rightness’ of things, you cannot go wrong. You actions may appear ‘foolish’ to others, or even to yourself, if you try to analyze them with the rational mind. But the ‘zero’ place occupied by the Fool is the numberless number where trust and innocence are the guides, no skepticism and past experience. A fool is one who goes on trusting; a fool is one who goes on trusting against all his experience. You deceive him, and he trusts you; and you deceive him again, and he trusts you. Then you will say that he is a fool, he does not learn. His trust is tremendous; his trust is so pure that nobody can corrupt it. Be a fool in the Taoist sense, in the Zen sense. Don’t try to create a wall of knowledge around you. Whatsoever experience comes to you, let it happen, and then go on dropping it. Go on cleaning your mind continuously; go on dying to the past so you can remain in the present, here-now, as if just born, just a babe. 4. What do you need to do to overcome these obstacles? Let’s face it, there is always going to be somebody who is more beautiful, more talented, stronger, more intelligent, or apparently happier than you are. And conversely, there will always be those who are less than you in all these ways. The way to find out who you are is not by comparing yourself with others, but by looking to see whether you are fulfilling your own potential in the best way you know how. Just look around. All is needed, and everything fits together. It is an organic unity; nobody is higher and nobody is lower, nobody is superior, nobody inferior. Everybody is incomparably unique. 5. What can you do within yourself in order to help achieve these desires? It is a time when you are ready to let go of any expectations you have had about yourself or other people, and to take responsibility for any illusions you might have been carrying. There is no need to do anything but rest in the fullness of who you are right now. If desires and hopes and dreams are fading away, so much the better. Their disappearance is making space for a new quality of stillness and acceptance of what is, and you are able to welcome this development in a way you have never been able to before. Savor this quality of slowing down, of coming to rest, and recognizing that you are already home. 6. What can you learn from the outside world/others to help you manifest your goals/desires? If you are a woman, the King of Rainbows brings the support of your own male energies into your life, a union with the soulmate within. For a man, this card represents a time of breaking through the conventional male stereotypes and allowing the fullness of the whole human being to shine forth. You might feel like a garden of flowers right now, showered with blessings from everywhere. Welcome the bees, invite the birds to drink your nectar. Spread your joy around for all to share. Zen wants you living in abundance, living in totality, living intensely – not at the minimum… but at the maximum, over-flowing. Your life should reach to others. Your blissfulness, your benediction, your ecstasy should not be contained within you like a seed. It should flower and spread its fragrance to all and sundry – not only to the friends but to the strangers too. This is real compassion, this is real love; sharing your enlightenment, sharing your dance of the beyond. Enjoy your reading? Please feel free to leave a comment below!